founded in Montreal in 1977 by Ivan Doroschuk (vocals, keyboards) with Jeremie Arrobas (keyboards & electronics), as well as Ivan’s brother Stefan (guitars). 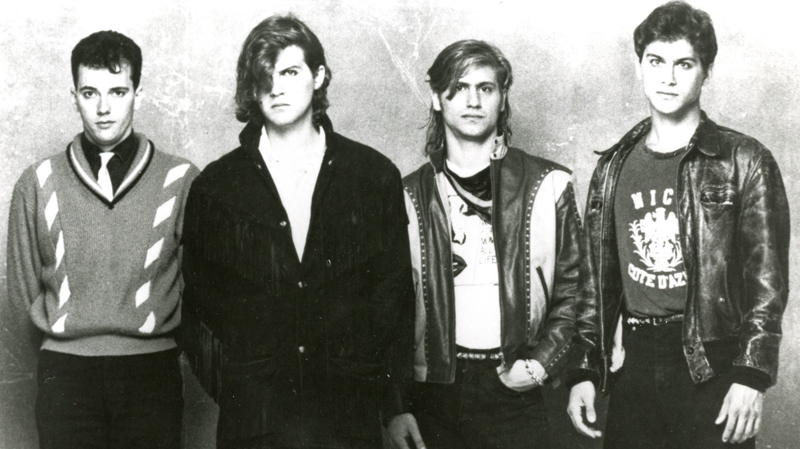 Struggling for recognition in Canada, Men Without Hats broke out in Europe and then in the United States effectively shaping 80s music when Men Without Hats scored a top ten hit with “The Safety Dance” in 1983 and then again in 1987 with “Pop Goes the World.” The band’s videos are a slice of 80s glamour, excess and fun. Just look at Ivan’s luscious locks back then. 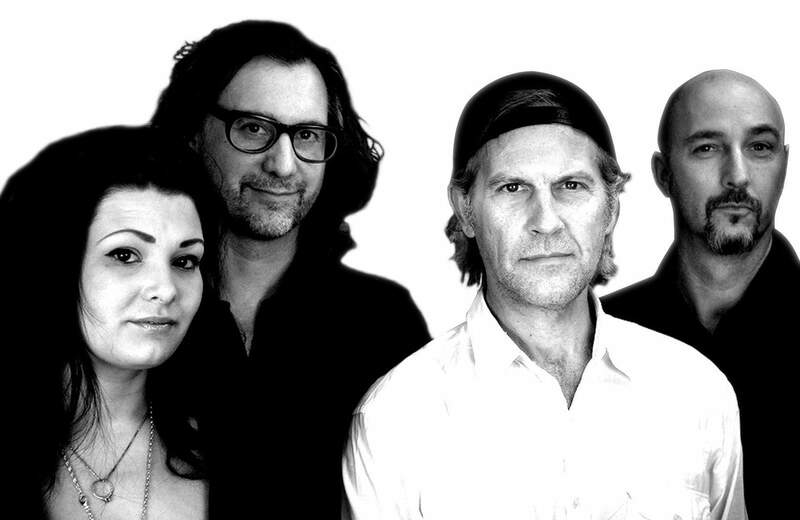 Men Without Hats broke up and reformed several times in the mid-90s and again in 2010. The current line-up includes keyboard players Lou Dawson and Rachel Ashmore and guitarist James Love. On tour now, the band will be at Johnny D’s in Somerville on Wednesday, June 17. Wednesday, June 17, Johnny D’s, Somerville, Mass. 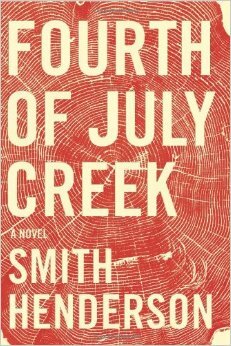 FOURTH OF JULY CREEK by Smith Henderson. Publisher: Ecco (May 2014). fiction. Hardcover. 480 pages. ISBN 978-0-06-228644-4. Fitting title for a painstakingly detailed novel about a social worker tasked to cover a rural, impoverished area in western Montana who encounters a survivalist battling everyone including the FBI. Sad, forlorn. Set in the 1980s. Provides insight into a social worker’s challenges and stressful existence. Not surprisingly Pete Snow’s personal life is in near shambles. Pete drinks heavily as soon as his day ends. He has almost no relationship with his teen daughter and then his ex-wife moves off to Texas. Soon after, the estranged thirteen-year-old daughter runs away after a debauched party. Snow begins dating another social worker who lives in Missoula. She’s a product of the system herself, grew up in foster homes shuffled around and then decided to become someone who ideally helps others with lives as difficult as hers. Of course that’s the goal. Smith Henderson writes the darkest, harshest, extreme scenarios. The central focus remains the erratic, strange Jeremiah Pearl—secluded in a wooded area. He’s stockpiled and barricaded and waits for some sign, some end of everything, the apocalypse. Pearl harbors strange ideologies and remains averse to any government intervention including when Snow tries to assist Pearl’s son. Jeremiah pushes Snow away repeatedly but Snow keeps coming back undeterred. Excellent writing but I struggled through large chunks. While initially pulled in by impressive descriptions and turns of phrase, the story lagged and side-plots drew me astray. I mainly just wanted to find out what would happen with the survivalist. Would there be a Waco-style ending?